Foreshadowing the Reformation argues that paintings are the history of ideas in visual form. It follows, therefore, that if we are to fully understand and appreciate the late Medieval and Renaissance paintings of great Northern European artists such as Jan van Eyck and Rogier van der Weyden, we need to investigate the religious and spiritual beliefs and practices of the time. It has been quite fashionable in Medieval and Renaissance Art History over recent decades largely to ignore the contemporary religious context and to concentrate instead on the part played by economics in the creation of works of art. Much has been made, for example, of the costs of materials, the role of markets, international trade and the commissioning process—all of which are undoubtedly important. This book looks to redress this balance through its description and analysis of religious and spiritual ideas, and by offering new, exciting and radical insights about some of the paintings, altarpieces and sculptures that were created. This book argues that there was a symbiotic relationship between those artistic and spiritual worlds and that by bringing the insights from those worlds together we can get a much richer appreciation of medieval life. 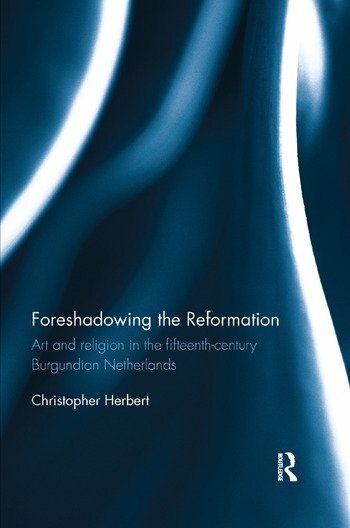 Christopher Herbert has a life-long interest in the field of art history and has also written numbers of books in the area of spirituality. He was Bishop of St Albans until his retirement in 2009. He has an M.Phil and a Ph.D. in the field of Art History from the University of Leicester, plus honorary doctorates from the University of Hertfordshire and the University of Bedfordshire.